There’s more than Bingo at today’s Assisted Living Facilities. These days senior care facilities offer more activities than ever before. Below is an excerpt from Rick Weisberg’s Senior Solutions column which details the available options. Q: My mother has always been a fairly active person, but over the last year, my brother and I have noticed that she sits at home alone most of the time. She is 85 and we are considering moving her into an assisted living facility (ALF) so she’ll be with other people. Can you describe some of the activities and programs that assisted livings typically offer their residents? A: Isolation is a very real – and serious –problem for seniors as they age at home. 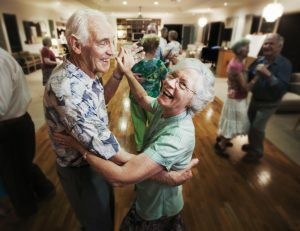 One the key reasons many seniors (and their families) decide upon a move to an assisted living revolves around socialization. 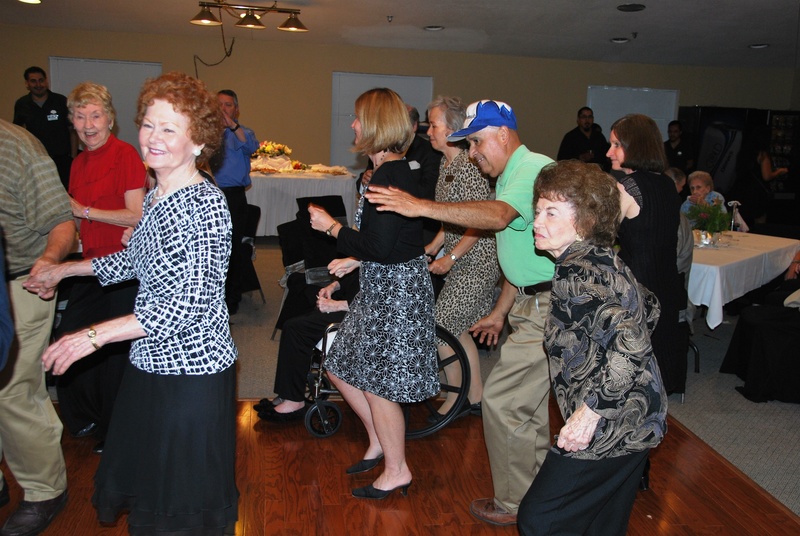 Today’s assisted living facilities offer more activities than ever before. As seniors get older, it becomes harder to maintain contact with their friends. Their social circle becomes smaller and smaller. The good news is that today’s assisted livings offer a myriad of social and recreational activities. As one would expect, card games such as Bingo, canasta and poker are a popular activity for seniors. And there’s absolutely nothing wrong with that. These games stimulate brain activity and provide an enjoyable way to spend an afternoon or evening. But the scope of activities offered at an ALF goes way beyond card games. Classes and lectures span a multitude of topics. Most ALF’s offer regular exercise classes: low-impact aerobics exercises, strength training with light weights and bands, flexibility and balance classes, dancing, walking clubs and yoga. Computer classes have become increasingly popular and are usually encouraged by the senior’s family. One of the well-attended sessions: current events. These talks are quite lively – especially these days! Music therapy has been shown to help some seniors restore and maintain their health. Most assisted livings offer programs and activities focusing on music. For example, pianists are often brought in to play and sing classic songs and show tunes. Surprisingly – or at least it was to me –Activity Directors are also accomplished musicians. I have seen many events where the Activities Director has been instrumental in persuading the residents to sing and dance. The fact remains that people love music! Let’s not forget the universal appeal of animals. Pet therapy has become extremely prevalent over the last few years. Studies have shown that animals positively impact the physical and mental well-being of seniors. An important part of the socialization process at assisted livings – and one of the most rewarding –are the intergenerational programs. The residents and children who visit form emotional bonds that create memories for both. They create art projects together or perform in plays. Studies have shown that seniors are often in better spirits after spending time with children, suggesting such interactions may have lasting effects. Residents also look forward to scheduled trips such as museum and movie outings, shopping and bus tours of historical sights. Restaurants trips are a weekly occurrence at most assisted livings. The trips are planned well in advanced, with adequate staff members in attendance. Clearly, there are numerous socialization options for residents. Every resident is different and participation varies from senior to senior. But with a little encouragement from staff and family members, your mom will most likely partake in some of the daily activities. And you and your brother will feel better knowing she is not alone.